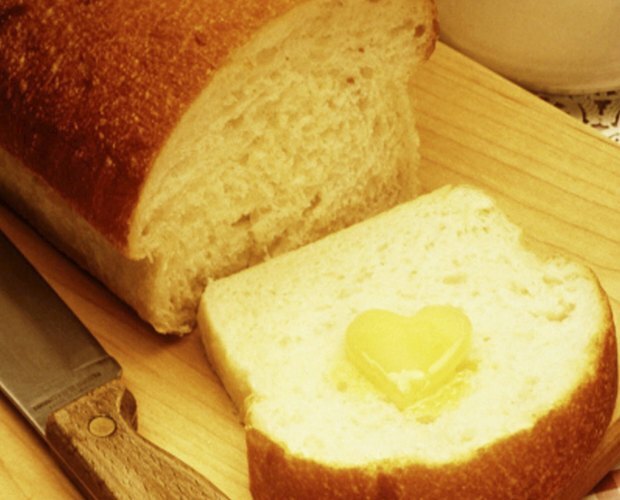 Baking breads with shortening in place of butter can aid dieters in controlling consumption of saturated fats. An ounce of vegetable-derived shortening contains a mere 7 grams of saturated fat, compared to the 14 grams in an ounce of butter. 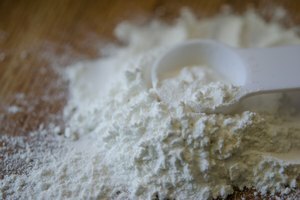 Due to significant differences in flavor and water content, inexperienced bakers should use bread recipes designed for the use of shortening. Beginning and intermediate bakers can find success in baking sweet, quick breads with shortening. 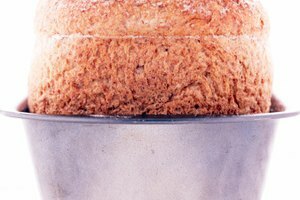 Breads which do require the addition of yeast or a rising process are less likely to be disrupted by small changes in water content. To prevent a dense, heavy final product, thoroughly cream the butter and sugar together. Use a hand-mixer for 30 to 60 seconds or beat with a fork or whisk. If the final product tastes flat, use a mixture of butter and shortening to improve the flavor. 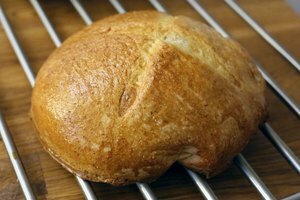 Using shortening in place of butter when baking yeast bread in a machine can be a challenging feat for even experienced home bakers. A machine is timed to begin baking after an established rising cycle, which can lead to a denser final product. If the recipe used prescribes melted butter, avoid using solid shortening. Ensure that the product is between 80 and 100 degrees F to avoid further disruptions to the rising cycle, per the recommendation of baking supply and education company Prepared Pantry. Prepared Pantry: Which is Better - Butter, Oil or Shortening?